With deep roots in the fishing industry and a background in commodities trading, the team at Open Ocean Trading came to us to help build an industry disrupting wholesale fish trading platform. They believed that the seafood industry could evolve by borrowing concepts used in commodities trading markets to increase predictability and stability for fishermen and their customers. Imagine this: you are in charge of nutrition for a large hospital or school. You have to plan meal calendars and budgets months in advance while meeting nutritional guidelines. You have a predictable buying pattern, but you have no certainty as to what the cost will be. With a futures contract, these buyers would be able to lock in a price and amount, resulting in greater efficiency and predictability. Now imagine that you run a commercial fishing vessel. In the current process you wouldn’t know how much the fish in your hold is worth until you return to the dock and negotiate a price, often face-to-face, with a buyer. You may make money on your trip, or you may just break even. The ability to secure the profitability of their catch by locking in a price and selling all or a portion of their catch in advance would make a big difference. 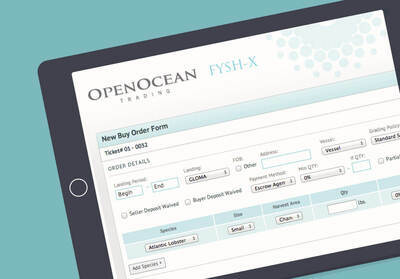 The FYSH-X platform that we created matches the demand and supply sides of seafood procurement. Users can place and respond to bids, locking down a price, quantity, and other terms, giving both sides more transparency and control. Buyers and sellers can electronically negotiate contracts, mimicking the on-the-dock experience. They can see a list of contracts and bids updated in real-time so they never miss an opportunity. Cutting edge technologies helped FYSH-X establish themselves as an innovator, using web sockets to deliver real-time push notifications over the web (still a new technology when it was implemented in 2013). Behind the scenes we used a combination of ExtJS and Ruby on Rails and launched with a flexible and scalable infrastructure with several layers of redundancy and disaster prevention and recovery. Open Ocean’s deep expertise in seafood and commodities, combined with FM’s technical skills, placed the team in a unique position to truly disrupt an ancient industry, and bring innovation to the outdated procurement practices that have been around for hundreds of years. 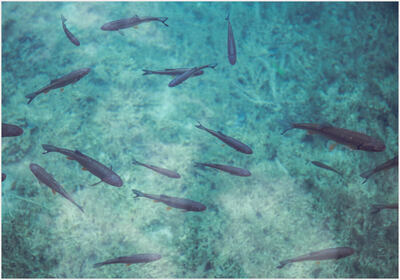 Since its debut in 2012, FYSH-X has spawned (pun intended) competitors and copycats alike. 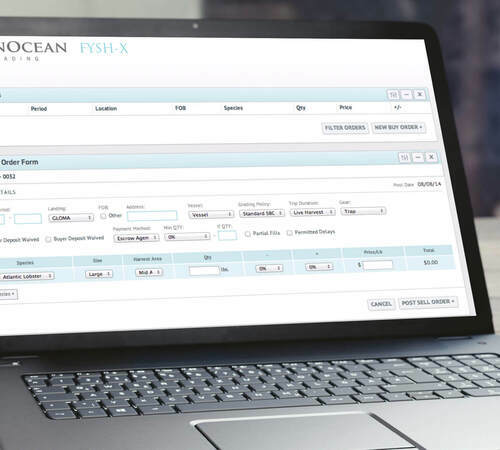 Open Ocean Trading gives me direct access to vessels on a fair contractual basis, in a way that is easy to use and manage... Through these relationships, I can also award good fishermen for consistent product and pay them more for their efforts.